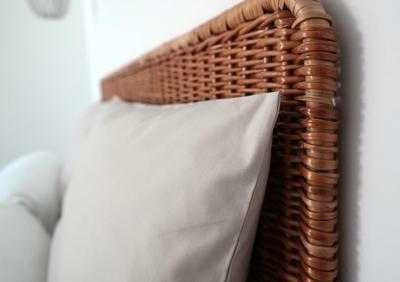 Bed and breakfast Quinta B. 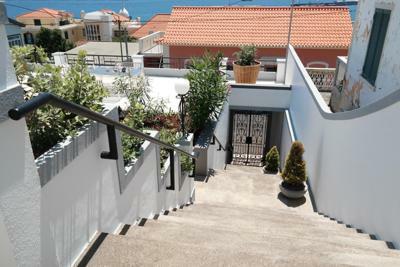 Lock in a great price for Quinta B. - rated 9.9 by recent guests. Wonderful hotel, great breakfast, perfect location, amazing views, impeccably clean, and last, but not least: Heike and Jochen, the best hosts ever. Friendly, helpful and professional. Everything is perfect even into the small details. If I could rate it an eleven I would do so.. Overall superb experience. Hosts are lovely. Breakfast is amazing. Property very stylish. We loved every minute of our stay at Quinta B. The location is perfect and calm. We loved having wine in the beautiful, peaceful garden with the stunning view. The breakfast was excellent. The room was neat and stylish. The owners are so lovely. Wish we could stay more. Best Boutique B&B ever. Best location and close to everything. Beautiful house with garden and pool. The room are fresh with a Scandinavien toutch. Amazing breakfast!!! The owners helped us with everything. Car rental, trips, restaurants etc. This is a most on Madeira! The owners, Heike and Jochim, were extremely welcoming and always ready to help with walk suggestions, restaurant recommendations and baggage storage when I left. The pool was small but lovely for a cooling dip and there was a lovely view over houses to the sea and port. The breakfasts were beautifully presented and delicious. The location was great, near the old town and not in the more modern and high rise hotel zone. The hosts were absolutely lovely, nothing was too much trouble and they kindly recommended places to eat and visit. The B&B was stunning and the location was perfect. If you are looking for the PERFECT PLACE, don't look anymore, there it is! 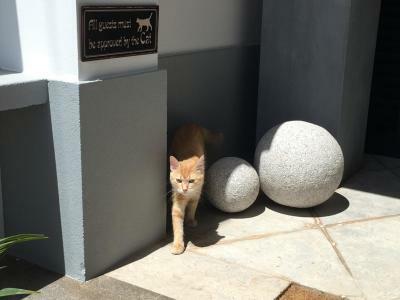 Everything was amazing, the room is clean and beautiful, the pool and garden are wonderful and the hosts (and cat) are so nice and helpful that you never want to leave! The breakfast is amazing too! 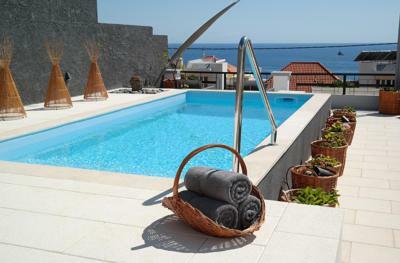 Book minimum 2 nights to have the time to enjoy the place and Funchal. 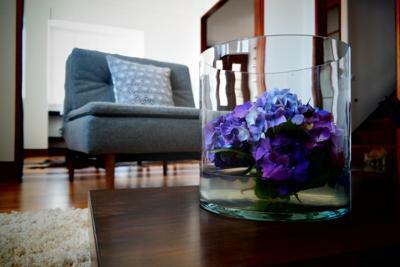 Absolutely splendid B&B completed with attention to detail in everything, creating comfortable and relaxed atmosphere. Very very clean. Rich breakfasts always with freshest pastry and bread, on top of the main dishes on your choice there is a variety of cheeses and local specialties. Heike and Jochen are very hospitable, always ready to assist and helped us a lot with a valuable advice what and when to visit. One of our bestsellers in Funchal! 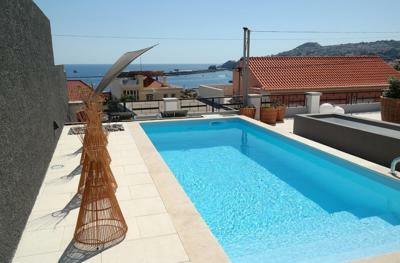 Boasting an outdoor swimming pool, Quinta B. 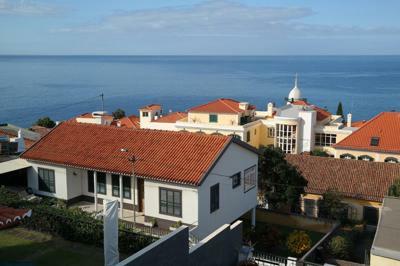 Offers accommodation in Funchal, 1.5 miles from Marina do Funchal and 750 yards from Sao Tiago Fort. Free WiFi is offered. Madeira Botanical Garden is 1.2 miles from Quinta B., while Cathedral of Funchal is 1.3 miles away. 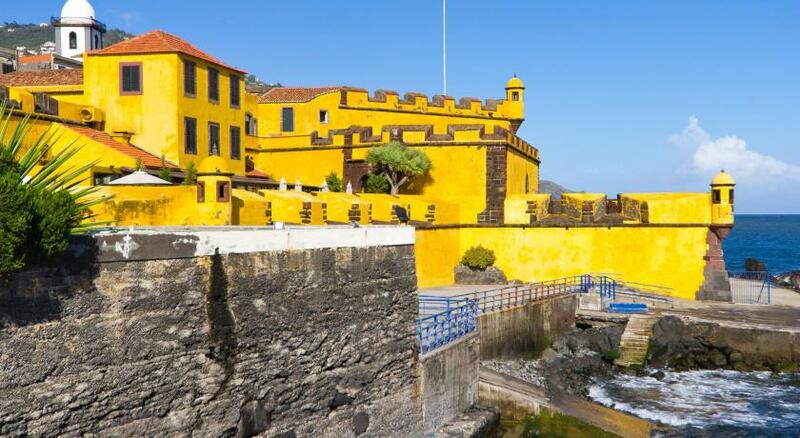 The nearest airport is Cristiano Ronaldo Madeira International, 10.6 miles from the accommodation, and the property offers a paid airport shuttle service. Quinta B. has been welcoming Booking.com guests since 11 Aug 2017. When would you like to stay at Quinta B.? Property surroundings – This neighbourhood is a great choice for travellers interested in hiking, Old Town exploring and food – Check location Excellent location - show map Guests loved walking around the neighbourhood! 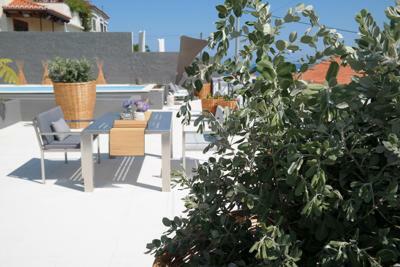 4 reasons to choose Quinta B. House rules Quinta B. takes special requests - add in the next step! Quinta B. accepts these cards and reserves the right to temporarily hold an amount prior to arrival. See all guest reviews for Quinta B. Newest reviews for Quinta B. Complaints? None. As simple as that. Not to stay longer ! Exceptional breakfast with personalized touch. Everything very clean & comfortable. Great hosts & excellent breakfasts. Short walk to many restaurants and city centre. 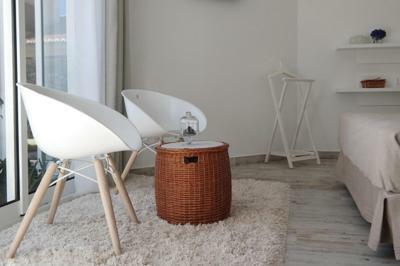 Everything in Quinta B is executed with perfection, thoughtful details, and warm touches. We were well treated by Heike and her husband during our 4 night stay here. The sea view, rich breakfast, high quality service, and good restaurants nearby make our experience in Madeira wonderful and unforgettable. 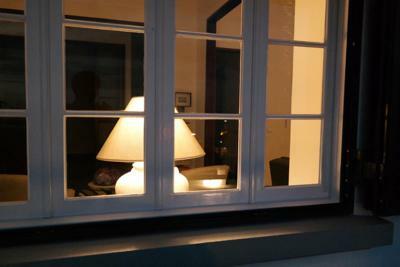 This was an amazing stay; we felt very much at home at Heike's and Jochen's place. Right from our arrival at the place we were taken such good care of. We were warmly welcomed with coffee, cake, juice and a great view over the ocean. 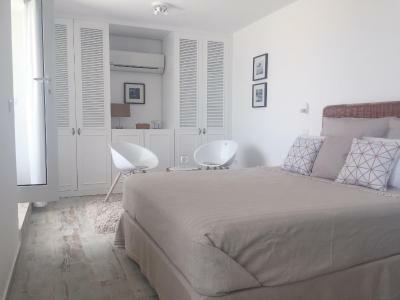 This first impression of Quinta B. continued to exceed our expectations, as the room was very neat, the breakfast was freshly served by personal preference and all the detalis were paid attention to. 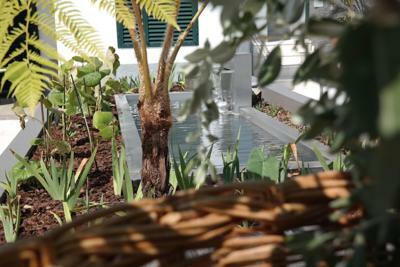 The decoration of the garden/ veranda is very modern and spacious. We really liked the daily Madeira wine moment; everyday at 18.00 you can enjoy a glass of Madeira wine that is served on the lovely veranda, with a magnificent view over the Atlantic. Heike and Jochen are very warm people and are always available for questions concerning get-around, restaurants, scenery drives and levada walks. They are very accessible and it goes without saying that they enjoy helping one another. Concluding, one of the best stays since years. 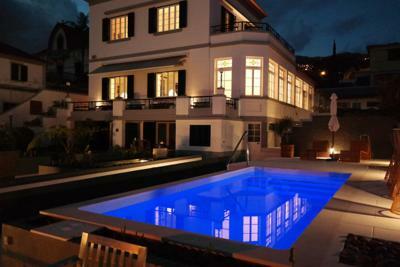 We would highly recommend this accomodation for a stay in Madeira, as this might be the best on the island. Quinta B. really exceeds in its simplicity, that in this case is definitely bliss. Great hospitality. A lovely house in a great location.